By JoAnn C. Chang, M.D. Corneal infections can vary widely in their severity and risk of producing corneal damage and vision loss. Each of the eye doctors at D'Ambrosio Eye Care is experienced in the diagnosis of corneal infections corneal ulcers, Herpes Zoster Keratitis, and Herpes Simplex Keratitis that may require more complex diagnosis and treatment. 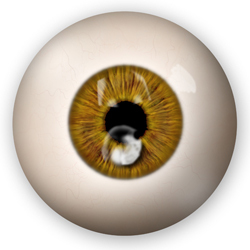 The outermost layer of the cornea is called the epithelium and if it is damaged from trauma of any type, i.e. getting a foreign body in your eye such as piece of metal, a poke in the eye from a branch or a finger, or even from a dirty or damaged contact lens, it is possible for bacteria, viruses or fungi to penetrate the cornea and cause an infection. An infection of the cornea is called Keratitis. Keratitis can cause painful inflammation with discharge, which if not treated quickly and appropriately, can lead to corneal erosion, corneal ulceration and corneal scarring. Corneal scarring results in a loss of corneal transparency and loss of vision which could require a corneal transplant in order to restore vision. Typically, as the corneal infection gets deeper it results in more severe symptoms and a greater potential for loss of vision. If your eye doctor suspects that you have a corneal infection, he or she will look for certain diagnostic signs to help decide the best course of treatment. Sometimes this might be an antibiotic eye drop, an antiviral eye drop, or an antifungal eye drop and sometimes it might even include a steroid eye drop to reduce the inflammation. Sometimes combinations of drops are recommended. Herpes Zoster Keratitis is caused by the same virus that causes chicken pox, called Varicella-Zoster Virus. After having chicken pox as a child, the Varicella-Zoster Virus remains in the nerve cells of your body in an inactive state. For a number of possible reasons, the Varicella-Zoster Virus can reactivate later in life and travel through the nerves in your body causing a painful blistering rash. If the Varicella-Zoster Virus travels to your head or neck it can affect the eye and thus cause a corneal infection. It is critical to have an eye physician diagnose this quickly as the infection can penetrate deeply into the cornea and it can cause scarring. The infection can also result in a loss of corneal sensation, which can be permanent. We may prescribe both oral medications and eye drops to try to resolve the infection and prevent serious damage from occurring. It is possible for anyone who has been exposed to the Varicella-Zoster Virus to get shingles, however it seems to more commonly affect those of advanced age and those with weakened or suppressed immune systems. Further, corneal problems from shingles may occur many months after the facial shingles appear to have resolved. Therefore, if you have had facial shingles it is important for you to schedule regular follow up appointments at D'Ambrosio Eye Care. Ocular Herpes, or Herpes of the eye is caused by the Herpes Simplex Virus and is the most common causes of corneal blindness in the United States today. Up to 50% of people who have a single Herpes Simplex viral infection of the eye will experience a flare up or recurrence. The virus often leads to irreversible scarring of the cornea. Ocular Herpes may start as a painful sore on the eyelid or surface of the eye. If left untreated, it may multiply and begin to destroy epithelial cells and progress deeper into the cornea. If the Ocular Herpes penetrates the deeper layers of the cornea and causes a Stromal Keratitis it may cause corneal scarring. Prompt diagnosis and treatment of Ocular Herpes is important. It is estimated that 400,000 people in the United States have had some type of Ocular Herpes, with more than 50,000 initial and recurring cases being diagnosed each year. Of these, it is believed that 25% are the more severe form of Herpes Stromal Keratitis. The recurrence of Herpes Simplex eye infections is significant in that it appears to recur in about 10% of patients within one year, 23% of patients within two years and 63% of patients within 20 years of their initial infection. Sometimes a recurrence can be prompted by sunlight, stress, fevers or an unrelated eye injury. Our physicians may prescribe oral medications, eye drops, or both to try to resolve the infection and prevent serious damage. Prompt diagnosis and medication are necessary to prevent any vision loss. Corneal infection of any type requires prompt, accurate diagnosis and treatment in order to prevent corneal scarring and vision loss. If you or someone you know is concerned about having a corneal infection or needs an appointment for an eye exam for a corneal infection please call D'Ambrosio Eye Care at 800-325-3937.